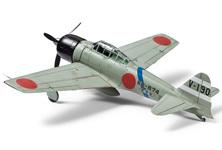 【 A New Twist to a Familiar Face 】　Produced from Autumn 1942, the Model 32 Zero fighter followed the Model 21 in being used in the conflict in the Pacific Theater. It featured a Sakae 21 engine fitted with two superchargers, and its calling card was a main wing shortened by 50cm on either side and given a squared-off finish. It was the superior of the Model 21 in terms of top speed, climb rate and roll, and thanks to its appearance even (mistakenly) received a different nickname of "Hamp". 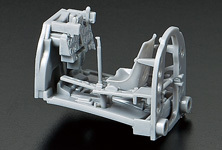 【 About the Model 】　★This is a 1/72 scale plastic model assembly kit of the A3M3 Zero Model 32. ★Fuselage length: 126mm, Wingspan: 153mm. 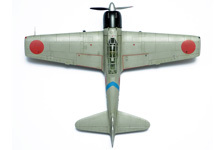 ★Its squared-off wing-tips were unique among Zero fighters, and that form is accurately reproduced by the model. 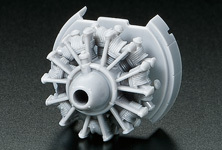 ★Engine cowling and other unique Model 32-design parts are also faithfully replicated. 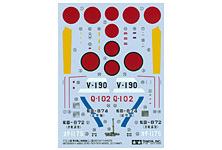 ★Features excellent replications of cockpit interior and landing gear bays. ★Includes separate parts to depict open or closed canopy. ★3 sets of marking options included. Accurate depiction includes Model 32's unique fuselage, wing, engine cowl forms and more! The characteristic squared-off wing tips were an effort to improve speed and roll capabilities. 3 marking options include schemes to depict Tainan Air Group and 2nd Air Group aircraft. 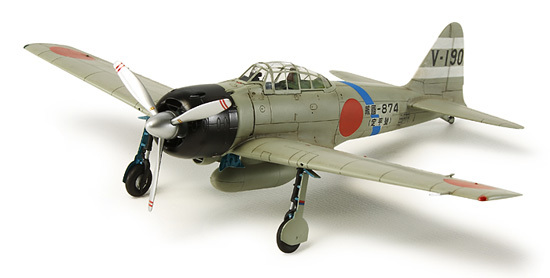 The Sakae 21 engine is accurately recreated in all its glory, including the complex front gear casing. Assembly of the detailed cockpit interior is based upon the parts make-up of the real thing. 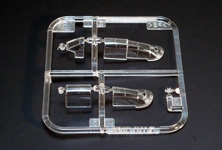 Choose between an open or closed canopy depending upon how you wish to display the model.